Gas Detection - Supplier of all types of gas detector for marine, confined space gas detectors, multi gas detector, confined space monitoring, oil & gas applications, chemical, water & waste, pharmaceutical, metallurgical and general industry gas safety monitoring. For many facilities, hazardous gases can be a serious danger. Hazardous gases in the workplace can lead to fire or explosion, exposure to corrosive contaminants and asphyxiation. Despite their dangers, not all gases can be detected by simply smelling the air. Eastern Energy carries a comprehensive assortment of portable and fixed gas detection warning devices in order to keep your personnel and your facility safe. Gas detectors are manufactured as safety devices used to detect combustible, inflammable, toxic gases, and even oxygen depletion. Gas detectors can be found in locations such as on oil and gas platforms, manufacturing processes, wastewater utilities and even in firefighting applications and an ever growing install base as users begin to understand the need for confined space gas detectors. Even a car park in Singapore often needs a gas detector! Gas detectors can be supplied as either battery operated units of fixed sensors using mains power for use in general industry and hazloc locations. The gas monitors can transmit warnings via a series of audible and visible signals such as alarms and flashing lights, when dangerous levels of gas vapors are detected. Personal Gas Monitors can also operate with multiple types of alarms and are often found in a combination of visual, audible, vibrating alarms. 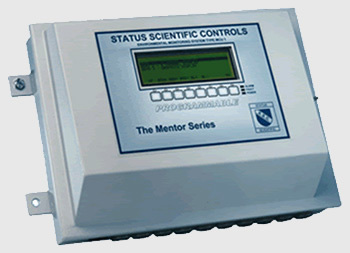 As detectors measure a gas concentration, the sensor responds by an alarm at preset levels. Each gas detector must be factory calibrated with the appropriate calibration gas, which serves as the reference point or scale. Eastern Energy can also supply calibration gas in disposable cylinders for onsite calibration. As a sensor’s detection exceeds a preset alarm level, the alarm or signal will be activated. The range of detectors can be supplied to detect a single gas but also a choice of toxic e.g h2s Gas Detectors or combustible gases and combinations of other gases. These include multi gas monitors for the simultaneous detection of multiple types of gas in potentially hazardous environments. Portable instruments for team protection and/or area surveillance are available and certified for use in hazardous environments either toxic or explosive gases. 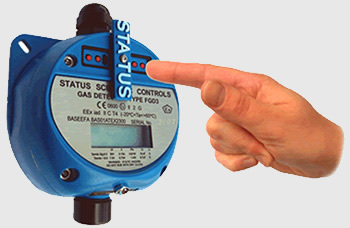 Status is a UK based company that has been established for over 20 years and is a trusted name in Gas Detection.The full line of gas detecting products are supplied in SIngapore through Eastern Energy. Status manufacture some of the highest quality and economical priced Infrared Gas Detectors in the market. Single and Multigas sensors are available. The Status FGD -10 series infrared gas detectors are available in window display and blind versions. Material of construction can be 316 stainless steel or Aluminium and can handle most types of common gas detection applications. Eastern Energy can be contacted for a demonstration on site. Our technicians are familiar with all aspects of gas detection from design to installation whether infrared or electrochemical type. The FGD3 gas detector is designed for instrinsically safe applications and is installed with a barrier to limit energy thus rendering the system non-incendive. Flammable Gas Detector (including Hydrogen) using 'pellistor' sensor technology. Monitoring of up to 4 gases. Can house up to 2 infrared sensors in the same instrument. Sensors can be added or removed after purchase. Robust construction - high impact resistance. Data Logging in 3 modes. COSHH monitoring (STEL and LTEL). Peak readings facility for pre - entry testing. Programmable alarm levels for each sensor. Fully reprogrammable without removal from protective case. Serial number and calibration due dates stored within instrument. Display contrast adjustable via instrument menu. Audible alarm level adjustable via instrument menu. Choice of mains powered or vehicle powered chargers. Calibration via a PC using specially designed Windows software. Protective rubber case and body harness. A complete range of panels primarily designed for the gas detectors. The panels are available in both single and multi-channel configurations. We can configure a complete system with gas or biogas detector sensor and gas or biogas detection and alarm panels. Our engineering team can assist you in the selection of the sensor and the complete system. More information on the exact type of detector required can be found by contacting our engineering team with your particular specifications and requirements. Installation services are available in Singapore for most of the equipment that we provide. PGD2 Range of Portable Gas Detectors. 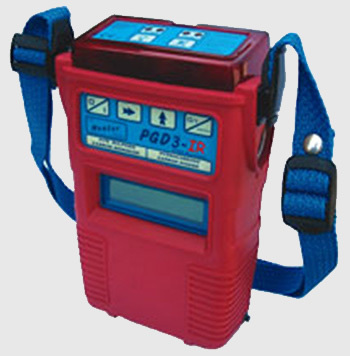 PGD3-IR Range of Infrared Portable Gas Detectors. Calibration Gas - Suppliers in Singapore and Gas Detector Installation. Regulator for 110 Litre Disposable Test Gas Cylinders. 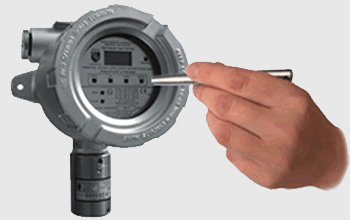 For more information on Gas Detector Installation services get in touch with us directly.